When old villages are transformed into a wonderful green accommodation, that’s when the magic happens. Ancient buildings full of history and myths, but at the same time equipped to make your holiday both confortable and sustainable. Among unspoiled mountains, but not only, among the greenest woods and the bluest waters, we will show you 3 of the most beautiful old villages which became green tourist accommodation, in order to make you experience something unforgettable. There is something magic about sleeping in a place with many years of history to tell behind. Not to take anything away from all the luxurious modern hotels, but an ancient house will always have a special atmosphere, with its unique traditions and its walls filled with past tales. 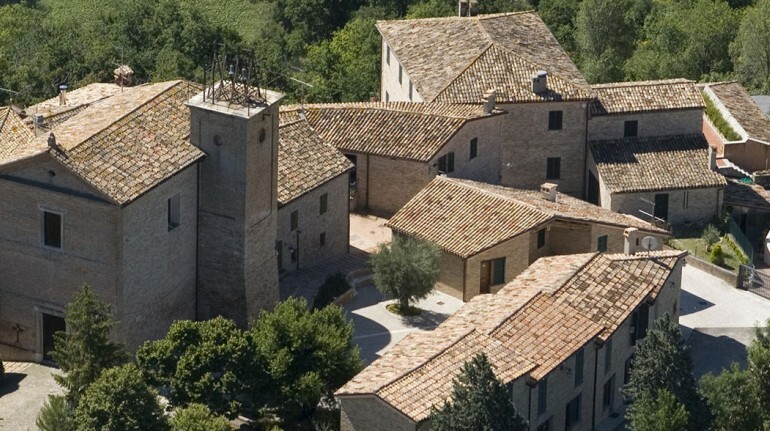 Transforming old villages in tourist facilities such as hotels, B&B and apartments is a reality which is slowly taking place in Italy and that allow travellers to dive into past times by staying in these places. 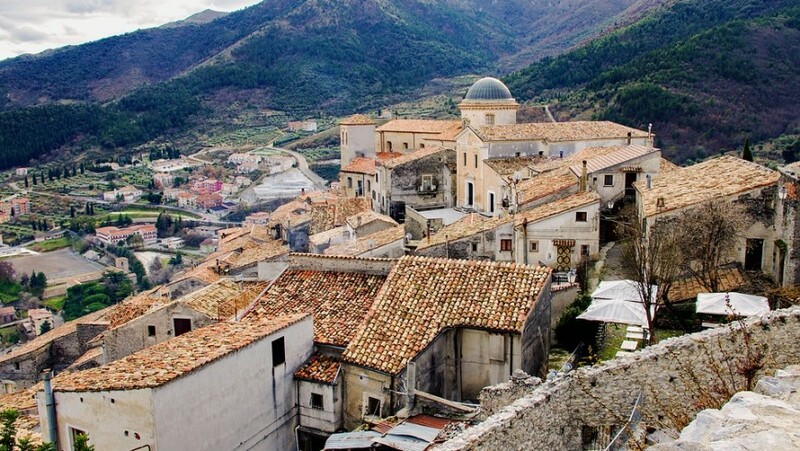 Looking at it with a responsible turist eye, these old villages are also an example of eco-sustainability. Indeed, they enhance local custom and products and are reconstructed on preexisting buildings, so they won’t consume new soil and resources. To sum up, they are little green gems ready to be discovered, but most importantly preserved, as many old villages keep being abandoned and are at risk of extinction. In the province of Cuneo, Piemonte, among the mountains at 1644 mt high, you can find Borgata Sagna Rotonda, an old village, which during the years had been abandoned, but it was recently rediscovered and renewed in an eco-friendly way, in order to welcome guests. Sagna Rotonda’s buildings have been rebuilt using renewable resources (eletric energy is generated by photovoltaic systems), natural materials, bio-construction techniques and many precautions to save energy and water. Everything is arranged to ensure a zero-emissions outcome and respect. the environment. Not to miss: the Borgata contains a spa and a restaurant where you can taste delicious local food. In addition, in Maira Valley, you can do many activities, like fishing and hiking. The Occitan Paths are quite famous, composed by 13 stops which track down the entire valley and will allow you to observe all natural beauties of the place. To learn more about Borgata Sagna Rotonda, we interviewed Teresina Piovano, the owner, who explained to us the characteristics of her accommodation. What makes your hospitality unique? 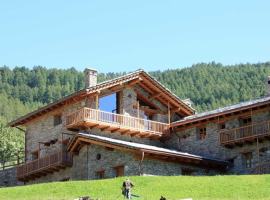 It is fascinating to stay in an ancient alpine village surrounded by green, renewed completely by respecting the previous architectural charasteristics and using the same construction materials such as larch trees’ wood and stone. Which itinerary, experience or excursion do you suggest for people who come visit you? Sagna Rotonda is the ideal destination for those who love trekking and mountain bike. During winter you can practice ski mountaineering or hike with snowshoes. Here you will find an unspoiled mountain, far away from the big tourist areas, but with its own charm to discover. Which sustainable criteria do you follow? As regards energy, we are powered by renewable resources: a photovoltaic installation for electric uses and wood-burning stoves for heating requirements. 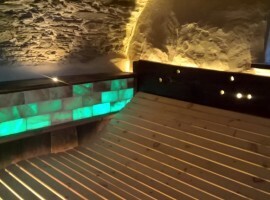 We specifically focused on mantaining the same materials used for the reconstruction, starting from the isolation in natural cork, the use of lime plaster and larch trees’ wood and the bricklayer made of clay on the inside and stone on the outside. How was your project born? Sagna Rotonda was born from the combination of two elements: our passion for the mountains and our desire to make an old village come back to life, a village which was almost in utter ruin, but still has that unique charm typical of ancient places. 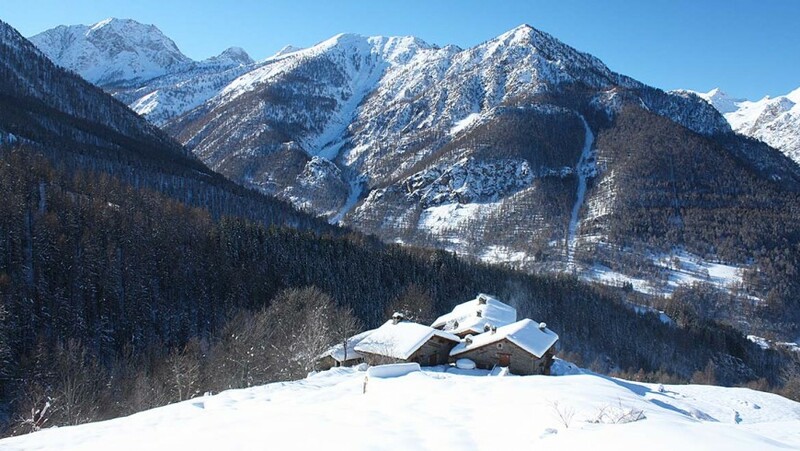 Sagna Rotonda is a magic place, perfect for those who love the real essence of the mountains and are looking for a full immersion in nature. Among our old villages, ready to be discovered, we find the medieval town of Bargni Serrungarina, in the province of Pesaro, where Casa Oliva offers an authentic and charming hospitality. It is a fascinating and romantic “spread” hotel, composed by 25 housing units, including bedrooms, from the simplest to the most elegant, a spa with a sauna and a steam room and a fancy restaurant. Furtermore, the hotel gets its electricity from renewable resources, it also uses solar panels and low-power lamps, and promotes a kind of tourism which is mostly eco-friendly. If you are interested in learning something more about “spread” hotels, Alberghi diffusi in Italy, read this article. Not to miss: Fano’s beaches are just 20 minutes away by car, but you can also visit Marche’s nature reserve La Gola del Furlo or take a look at the Grotte di Frassassi, Frassassi’s caves. 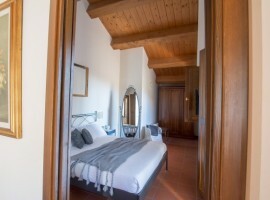 Casa Oliva is an environmentally sound hotel: real rooms, real houses, a real community. Half-home, half-hotel. To Casa Oliva Albergo Diffuso, sustainability is an ethical choice, living and working in the nature is not just a pleasure but it is also a responsibility, the responsibility of preserving the beauty which surrounds us, th responsibility to leave an healthy and pleasant living environment to our future generations. Urbino, Frassassi’s caves, Gola del Furlo, Pesaro and Riviera del Conero. The hotel possesses a photovoltaic installation for electric energy production, in order to limit the consumption. The panels are realised in order to have as little aesthetic impact as possible on the environmental context. As regards sustainability, weuse plant-based detergents, essential and bio-degradable oils. Nature surrounding us must be conserved and taken care of. Indeed, Casa Oliva is very serious about recycling: we recycle organic, paper, plastics, glass, wood, tetrapak, aluminum, oils and kitchen fat. The hotel uses 90% of low-power led lamps and sensors to turn them on and off automatically. With my daughter we decided take over Casa Oliva’s management in May 2016. It was my grandmother’s house (Oliva’s the surname) but it was actuallyoneof my grandma’s sisters who lived there- Giannina Oliva. Then, my father inherited the house and during the 80s he decided to reconstruct and make an hotel/restaurant out of it. The reconstruction started from the walls of the village, strengthening them in order to have a proper future for the town. During the years we bought other facilities and buildings, which became part of the activity. Today, Casa Oliva represents at least the 60-70% of the whole village. 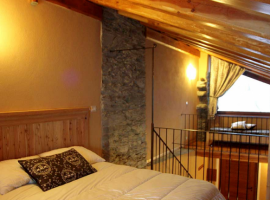 If you want to sleep in an old village without giving up a 5 star hosting, Casa Oliva is the perfect destination! 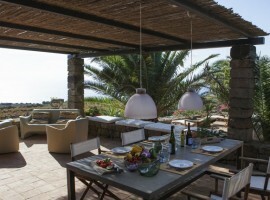 Pantelleria, an isle that looks like a dream, of such ethereal beauty that it almost looks surreal. 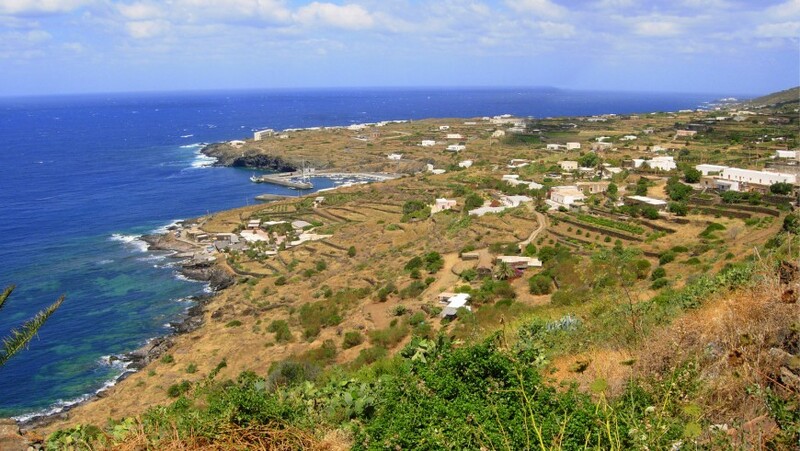 A bit different from the previous old villages we showed you, Tenuta Borgia spreads along the south-western part of the island and it is formed by the typical dammusi, the traditional houses of the island made of local lava rock. Each dammuso has been decorated to host you, indeed it has bedrooms, a kitchen, a bathromm and a lovely patio with a sea-view, where you can also admire the beauty of the mediterranean park which surrounds the property. Not to miss: you can visit the National Park of the island of Pantelleria, a protected natural area and many archaeological remains from the ancient times, especially in the areas of Mursìa and Cimilla. 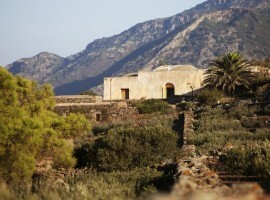 On the island there are also many chapels, built in the same way of the typical dammusi. In addition to the boat trip around the isle, we suggest an excursion on Montagna Grande. The collection of rain water and the recycling of that same water. The involvement of our guests in hydric saving. A natural insulation, without any need of conditioning. The transformation of the dry and abandoned part of the island in one of the greenest spots of the south-west coast thanks to the installation of numerous local varieties: biancolilla’s olive trees, vines with zibibbo’s grapes, pines, palm trees, citrus fruits, etc. 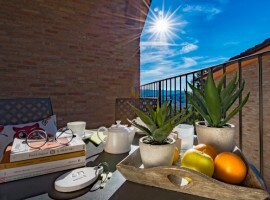 Tenuta Borgia is perfect for those who love the sea and the Mediterranean cuisine and for those who are looking for a unique and romantic experience. The amazing thing about staying in this places is that you can feel closer to the history and traditions of these old villages. Do you want to spend a day living like a local, and feel part of the community? If so, don’t miss the chance and discover this sustainable pearls among the mountains and the sea or tell us your experience! Born in Rovereto, Margherita studies Modern Languages for tourism and business mediation at the University of Trento – Literature and Philosophy Department. The knowledge and use of English in a work environment is her main objective; thanks to Ecobnb she had the chance to combine languages with the emerging topic of sustainable tourism. This entry was posted in green hotels and tagged abandoned villages, ancient, ecovillages. Bookmark the permalink.